Bring the whole family to the Paoli Business Association's Holiday event. 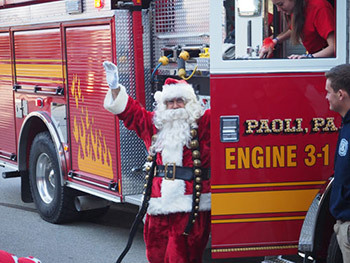 Santa Claus thrills the children when he arrives on one of Paoli Fire Company's fire engines and then offers "lap time" to hear even the biggest wish lists. Guessing games, prizes, santa hats for the kids, a brass quartet, refreshments and more keep everyone busy while the children talk to the big man in red. This is a free event benefitting a local charity. Donations are welcome. 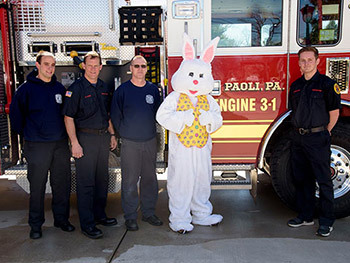 Thanks to his Paoli Fire Company "limosine", here comes Peter Cottontail ... right into Paoli to meet and cavort with the kids. Paoli's Bunny Trail covers three locations of fun, all sponsored by local businesses. Bunny ears go to the first 100 guests! A scavenger hunt, photos with the bunny himself and delicious refreshments round out the free day of entertainment. Bring the family, mingle with your neighbors, and have some old fashioned fun at this special event hosted by the Paoli Business Professional Association Board and members. 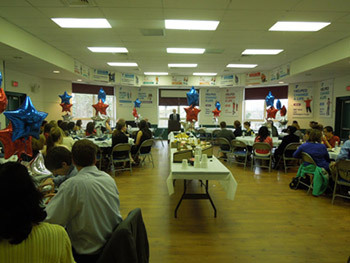 Front Porch Trust "Breakfast for Champions"
The Front Porch Trust Scholarship Fund, established by the PBPA in 2005, hosts the Breakfast for Champions each spring for Conestoga and Great Valley high schools' outstanding student volunteers. School seniors apply with a written essay summarizing their community project. All applicants and their parents are invited to the breakfast. The winning applicants present their essays to the proud parents, legislators and community members attending. The event is hosted at the Upper Main Line Y with primary financial sponsorship from Wilmington Saving Fund Society and PBPA. Occurring primarily in the after-work timeslot, the PBPA Mixers are networking events that bring professionals together in a relaxed atmosphere that promotes sharing ideas and forming connections. Refreshments and light fare contribute to the lively atmosphere. Mixers are usually held at a PBPA or prospective PBPA member's venue, a great way to highlight your company and its environs! Frequently networking events are held in conjunction with our fellow business associations: Malvern, Berwyn-Devon, and Wayne. The more, the merrier! Any business interested in hosting an event, please contact the PBPA. 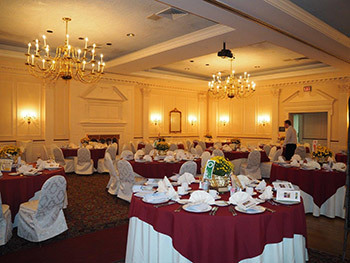 Held in the Green Room of the Paoli Hospital Medical Center, these monthly member events provide superior seminars on current business trends, events affecting the Paoli community, and an occasional historical topic to keep it all in perspective. 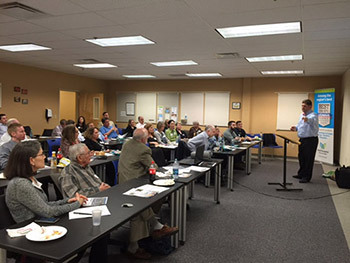 Member Lunch and Learns are free to PBPA members and open to the community for a nominal fee. 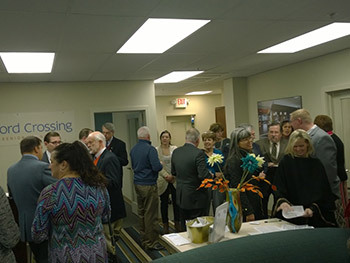 An elegant evening of networking and recognition for outstanding businesses and business people in Paoli. This event is a wonderful opportunity for the Paoli business community to come together and honor our own while donating to a great local cause (a local charity is selected to receive proceeds from the Silent Auction each Banquet). PBPA Awards bestowed include Business Person(s) of the Year, Citizen(s) of the Year, Community Leader, Lifetime Achievement, Media and Beautification. PBPA's annual events would not be possible without the support of our membership and sponsors. Opportunities to get involved abound! Are you ready to step forward to be a leader in the community? We welcome your support and involvement! New members, sponsors & volunteers = New ideas and directions = A Better Paoli!